This blog article was written by Naturopath Georgie Stephen. Does your child have trouble with focus and concentration? Their sleep could be to blame. Many parents express concerns about their child’s focus and concentration and the significant impact it can have on the rest of their life, particularly their ability to learn. A child’s inattention may impact their ability to listen and follow instructions, be able to plan and organise themselves to complete tasks, sit still and focus during class, regulate their own behaviours and emotions, or even to form and keep friendships with their peers. One of the primary causes of poor concentration and focus in children is impaired sleep. 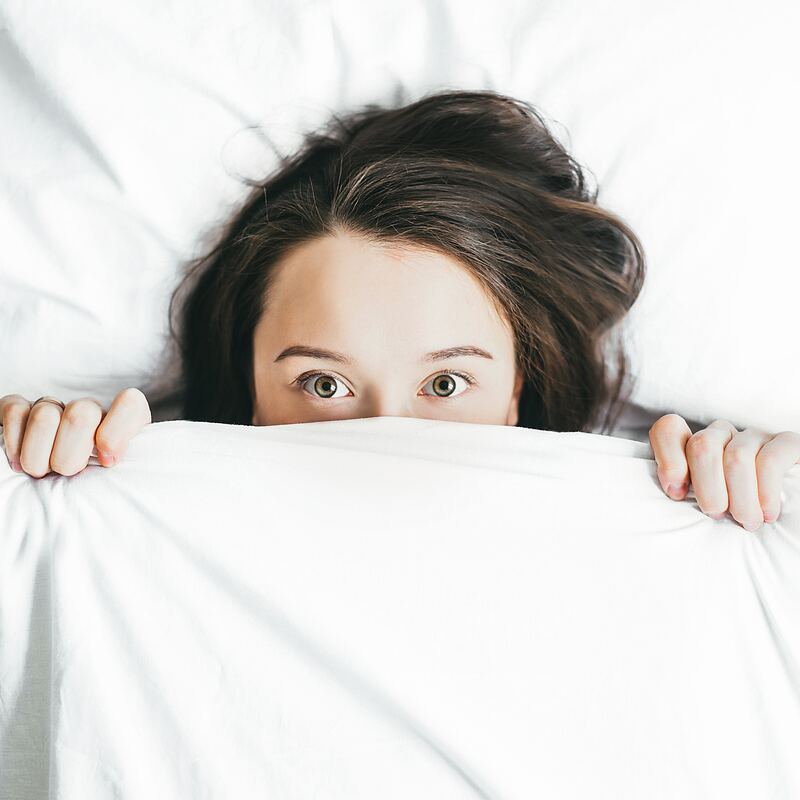 As adults, we can probably all relate to the ill-effects of having a bad nights sleep – not only do we feel tired and lethargic, but we also feel irritable, foggy, and have trouble thinking clearly and focusing throughout the day. Sleep disturbances have been found to result in behaviours that are very similar to those seen in children with ADHD and, in fact, in children with a formal diagnosis of ADHD, concurrent sleep disorders are frequently seen and thorough assessment of sleep quality is part of the core management and treatment for these children. Sleep is absolutely essential for our body to function at it’s absolute best. This is especially true for infants, toddlers, children and teens, who need good quality sleep to support the rapid growth and development that occurs throughout each these important stages of life. In fact, most children will have spent around 40% of their childhood asleep! Although there are no clear guidelines on the exact number of hours of sleep that children of different ages require due to individual variations, there are some general recommendations we can follow. Always remember to consider these recommendations in context of your child – if they are getting more or less than the average number of hours and appear healthy and well, then there may not be a problem. Conversely, if they seem to be sleeping the ‘right’ amount of hours but facing health challenges, or are struggling with focus and concentration, then the quality of their sleep cycles may be impacted or their body might need more sleep than average. Getting the right number of hours of sleep is a great place to start, but it is not the only aspect of sleep that we need for our health. Sleep quality can, at times, be more important than sleep duration, and is impacted by the timing and regularity of our sleep, and by any disturbances during the night. Some children may appear to be sleeping an adequate number of hours, but in fact could be waking during the night or not going to bed early enough. When any child is having problems falling asleep or staying asleep, the question any health professional will be looking to answer is – what is keeping their nervous system in a state of arousal? As naturopathy is a form of healthcare that considers the body and all it’s systems as a whole, it can look even further below the surface to uncover underlying factors impacting sleep quality that may not have been considered before. Eating food is a fundamental physiological activity that ensures our body obtains the energy it needs to function and the essential vitamins and minerals required to support optimal health. When it comes to the nervous system, nutrition plays an undeniably important role – carbohydrates provide our brain cells with energy, proteins are required as the building blocks for our neurotransmitters, while vitamins and minerals like B-vitamins, vitamin C, zinc, iron, and magnesium are needed to facilitate the production of neurotransmitters and to support the growth and repair of neurons and brain tissue. Kids, especially fussy eaters or children with more severe feeding disorders, are at high risk of being low in some of these essential nutrients. A direct impact of this can be issues with sleep, mood regulation, focus and concentration. Working with your kids and their food preferences, we can develop strategies to help them consume more foods that will support nervous system activity. Food allergies or intolerances can be frontline culprits for causing sleeping trouble in children. Allergies and intolerances can be tricky to identify if they aren’t the ‘classic’ hypersensitive-type reaction (think peanuts or shellfish allergies). Rather, low-grade reactions can take many hours to days to appear after a child consumes the food, making it very difficult to pin point which food or food group is responsible for the reaction. Food reactions cause disturbed sleep by stimulating an immune and/or stress response that keeps the nervous system in a ‘fight or flight’ state, rather than the ‘rest and digest’ state that we need to fall and stay asleep. Identifying food reactions should be done with the help of a qualified health professional with experience in nutrition. There are certain chemicals found both naturally and artificially in the foods and drinks we consume that can stimulate our nervous system and cause a stress-like response in the body. The most obvious of these is caffeine – found in cola-based soft drinks like coke or pepsi, and some energy drinks. Other stimulants include gaurana found in energy drinks, and any food or drink with chocolate, as the cacao bean contains a caffeine-like stimulating compound called threobromine. Glutamate, a naturally occurring chemical in fruits and vegetables, can also be stimulating for some children. Glutamate is also found in MSG (monosodiumglutamate), which is also stimulating for many individuals. Chili and spicy foods can also be mildly stimulating in some sensitive children. Consider the need for any stimulating foods in your child’s diet (occasional treats are always ok! ), or at the very least avoid giving stimulants in the second half of the day and never after 3pm. The liver, our body’s detoxifying organ, needs plenty of time to break down and remove stimulant substances so they no longer have an impact on our body cells, including our nervous system. This time differs from child to child, but can be around 12 hours for substances like caffeine. A high intake of sugar can impact your child and their sleep in a number of ways. Firstly, high sugary foods can have a stimulating effect on the nervous system by triggering a stress response. When sugar foods are digested and absorbed, they cause a quick spike in our blood sugar levels – something the body detects as a mild stressor, stimulating nervous system activity and our adrenalin stress response system – the ‘fight or flight’ response. Being in fight or flight is not conducive to sleep and can result in an inability to fall asleep easily. Secondly, consistent high sugar intake over time can impact children’s ability to effectively regulate their blood sugar levels overnight. Considering that our kids’ bodies go without food between dinner and breakfast, they require tightly controlled blood sugar levels to allow them to get through the night. When their blood sugar levels drop due to dysregulation in these control mechanisms, the body again perceives this as a stressor that triggers adrenalin and cortisol, causing the to awake during the night or not be able to fall asleep. Finally, high sugar diets can impact sleep and our nervous system by displacing the essential nutrients from our meals and daily food intake. When highly palatable, sugary foods are eaten in place of healthful whole foods, the desire to consume the latter is significantly decreased and intake of protein, vitamins and minerals over time is impaired. Sugary foods include confectionaries, lollies, and chocolates, but also cakes, cookies, desserts, ice-cream, flavoured yoghurts, and custards, and when eaten in high amounts and in the absence of other foods in the meal, refined carbohydrates like white bread, white pasta, white rice, crackers, crispbreads, and chips can have a similar effect. Ensure your child gets exposure to sunlight within the first 30 minutes of waking – this is helps to keep their body clock ticking on the natural daytime cycle. It is the sunlight hitting our eyes that has this regulating effect. Help your children to get more bouts of sunlight exposure during the day – encourage them to run around in the backyard for a few minutes or go for a walk around the block. Aim to have no screen time for at least 90 minutes before bed, if not longer. If you are going to have screen time, think about purchasing some ‘blue light blocking’ glasses for your children (and yourself). These are easy to buy online and have been found to significantly reduce the melatonin-suppressing effect of blue light. You can get blue-light blocking apps on some devices to reduce the emission of blue light from the screen. iPhones have ‘night mode’ built into the settings (which you need to switch on), or on android phones you can download the ‘Twilight’ app, while on computers you can download the ‘Flux’ app. Remember that blue light can come from phone, TV, and computer screens. Some household lights are high in blue light as well. Sometimes quick acting solutions are needed to help your child get a good nights’ sleep, breaking the cycle of sleep deprivation and it’s flow on consequences for mood and behaviour, and allowing you to begin to put some of the earlier strategies into place for long-term resolution. Nutritional supplements can top up low levels of the essential nutrients needed for a calm and regulated nervous system, while herbal medicines can provide gentle actions on the nervous system and neurotransmitter levels to promote relaxation and sleep. The advantage of using nutritional and herbal medicines is that a combination of medicines that are specific to your child can be selected and many factors can be addressed at once using their combined synergistic effect – for example nervous system relaxation, improved focus and concentration, increased resilience to stress, better gut health, hormone balance or blood sugar regulation can all be addressed with personalised formulas for your child. Keeping a sleep diary can be a useful place to start in beginning of the journey to understand what factors may be involved in causing or perpetuating your child’s sleeping issues. It is also a great source of information to share with a health professional if you do decide to seek extra assistance for the problem. The Royal Children’s Hospital has a good sleep diary template you can use. There is a range of physical conditions not listed above that may be contributing to sleeping troubles in your child. They require a thorough assessment of the child’s health history and physical health. Some of these include sleep apnea, restless leg syndrome, clinical anxiety, infections, allergies (food or environmental), hormone imbalances (especially thyroid conditions), gut health problems, or issues with pain and discomfort elsewhere in the body. For more help evaluating and treating any of the factors or issues discussed in this article, contact the practice and ask to speak to our Naturopath Georgie.